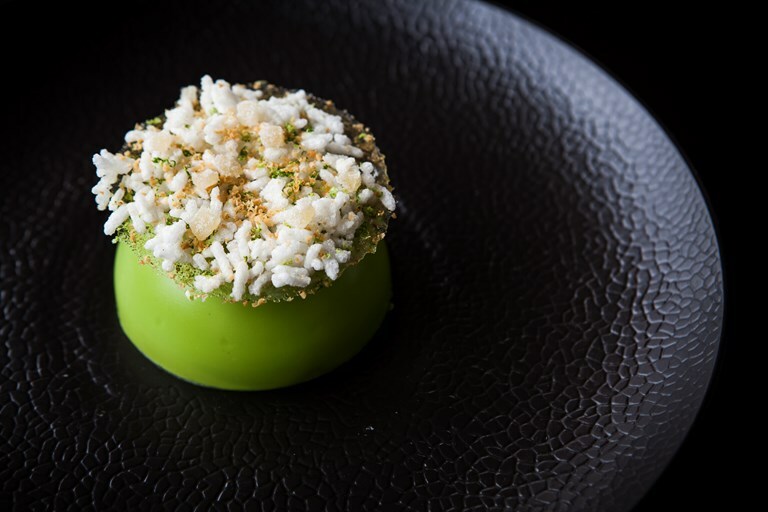 This incredibly technical and challenging dessert took chef Daniel Clifford five weeks of tinkering to get right and requires intricate culinary skill and expertise to pull off. 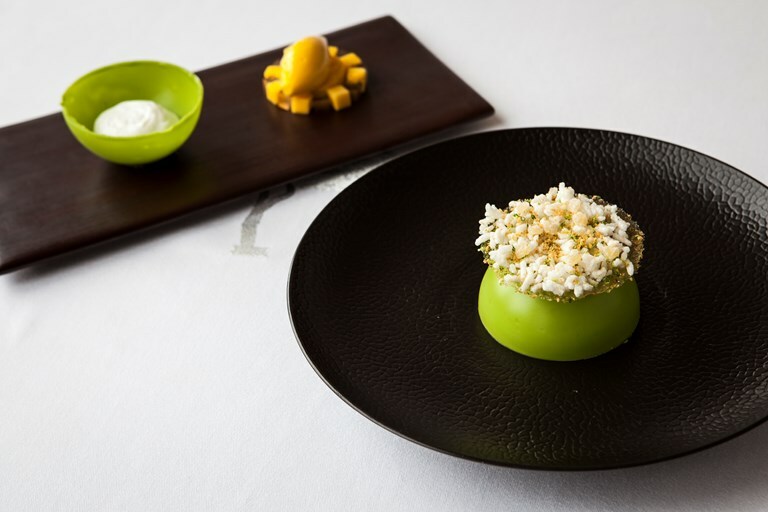 Underneath the lime tuile and green chocolate dome are cubes of lemongrass jelly, a mango delice, mango sorbet and coconut foam. 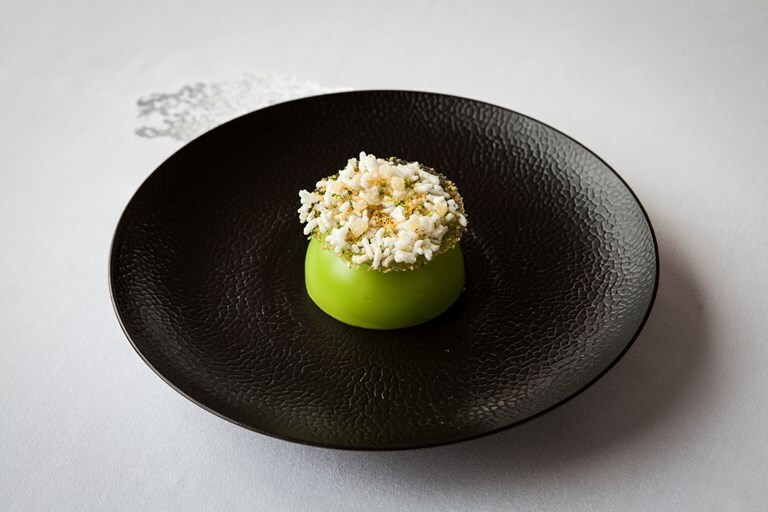 It may look neat and simple, but this is a true test of any professional chef.